This modern day Sumerian temple is home to a television station, and can be found in the most unlikely of places: the suburbs of Beirut, Lebanon. 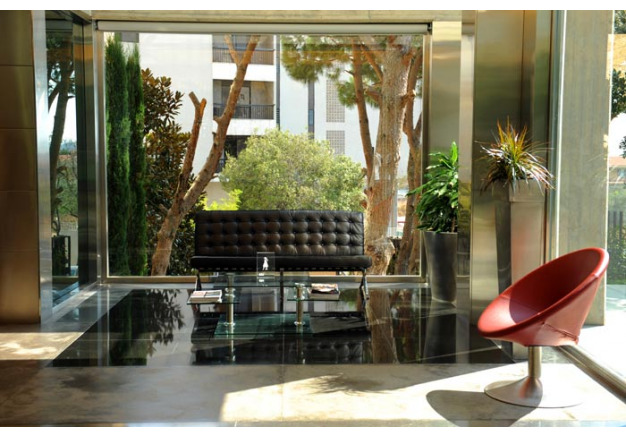 A model of minimalism, this modern garden creates a tranquil and peaceful environment for employees and clients alike, while also exuding a Babylonian aura of style and luxury. 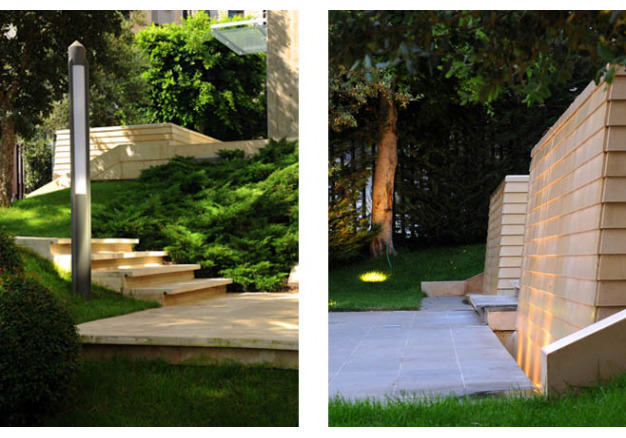 Before embarking on this projectthere was one simple precondition: to make the lobby an integral part of the garden. 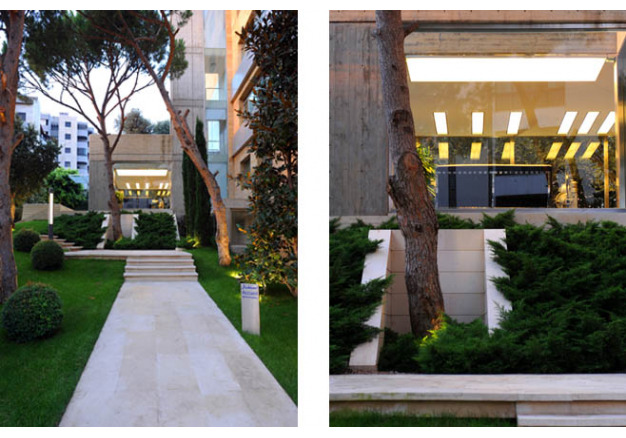 As such, the relationship between the garden and the building were to be central to the entire project. 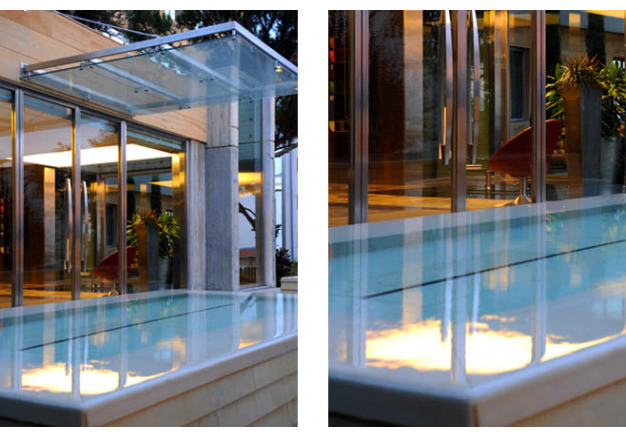 The entrance is a glass box that extends from the building and reaches into the Japanese inspired green minimalism of its garden. Crowning this lobby is a roof garden to guarantee that no green space is lost, and allowing it to merge with the garden in a three dimensional way. As the headquarters of a major TV station, the building is host to hundreds of people who work there, as well as visit it on a daily basis and their only accessin is throughthe garden. Creating mazelike pathways and avoiding a straight and overly efficient walk permits this relatively small garden to unfold and whisper its secrets as wanderers stroll through. 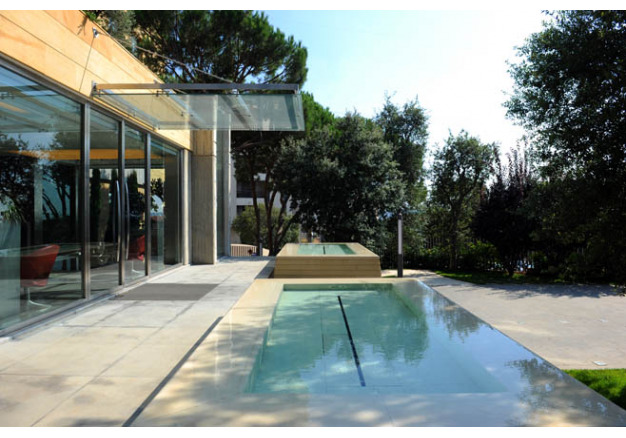 It also defines and reinforces the relationship between the wanderer and the garden, andbetween the garden and the building, reinforcing the relationship between two worlds. 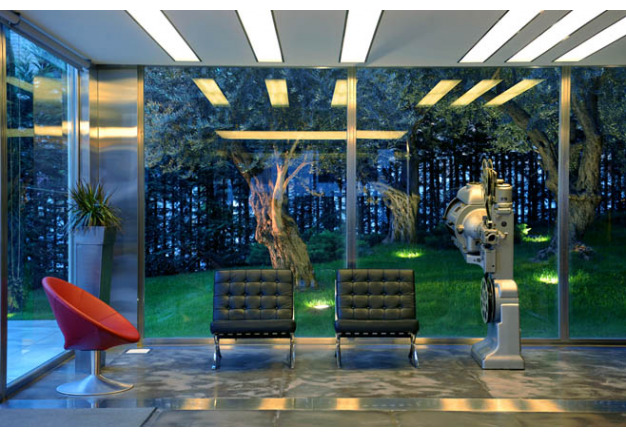 Graphic and manicured, the plants resemblethat of architectural features in their precision, geometry and color. They dot the landscape and accompany the visitor to the lobby, where two truncated pyramids with water reflecting surfaces seem to welcome and leave visitors with a sense of awe walking between the Tigris and the Euphrates. 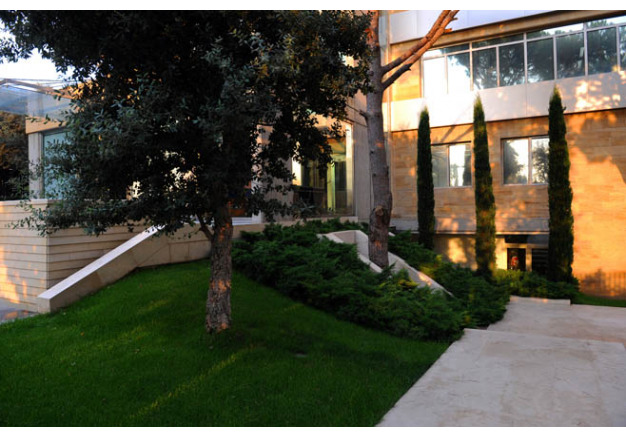 Overall, the true luxury of the Al-Sumaria headquarters lies in its green space. 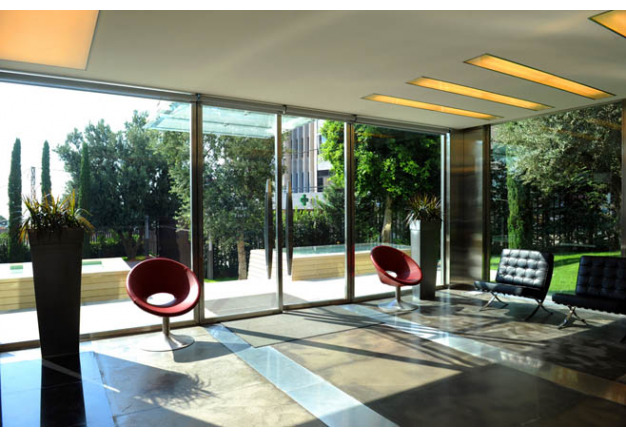 The location of the building was chosen precisely for its access to a garden, and a full understanding that a well-designed green space is a true luxury in todayï¿½s hustle bustle of the corporate world. 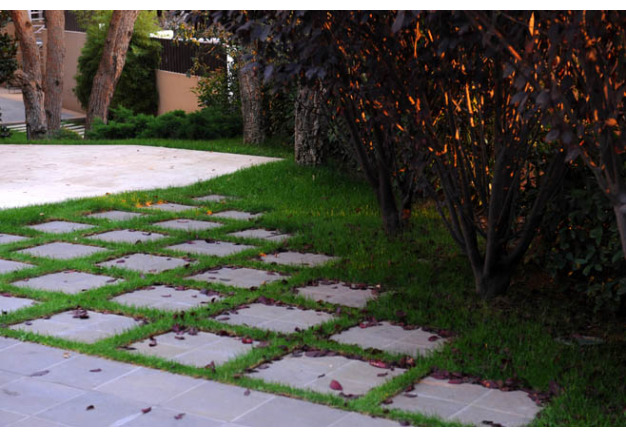 The creation of an entrance to the workspace that is serene and soothingproves that landscaping can truly improve thework environment.